By 1971 Carole King had made the transition from housewife/Brill Building songwriting genius to singer/songwriter performer. Footage of her working out a song with her then husband Gerry Goffin in a Brill Building cubicle shows a scrinched-eyed, painfully shy young woman banging out on the piano a catchy tune while attempting to "sing" the melody in a voice literally wracked with pain. It was all in her head back then, but needed someone else's body to express itself fully. 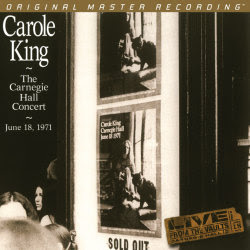 Jump cut a few years to 1971 and there she was alone on the Carnegie Hall stage playing mostly solo to a full house, attracted there not by covers of LIttle Eva's "The Loco-motion" or The Shirelles' hit "Will You Still Love Me Tomorrow," (though she does sing it near the end of the concert) but by King's solo break-out album Tapestry. She was not yet 30 years old. King opens nervously with the punch line to the well-worn musician's riddle How do you get to Carnegie Hall? "Practice!" No one in the audience gets the joke, but then in 1971 the "hipgeoisie" were very serious and smug folks so its not surprising that no one in the audience seemed to get the joke, or perhaps the ones who did were afraid to laugh. In any case, King gets down to business with "I Feel the Earth Move" and it's obvious by the way she attacks the tune that she's fully made the transition from back room songwriter to concert stage performer, despite not possessing a beautiful set of pipes. It doesn't matter. "You're as beautiful as you feel," as King sings it and means it when she gets to "Beautiful" fourteen songs in. Whatever inhibitions King had during her suburban housewife days in New Jersey seem to have been shed, though she accepts the audience's appreciative applause with meek, barely audible Jewish-guilt laden "thank yous." When you hear her sing the now dated "Carry Your Load" the unmistakable influence of Laura Nyro will immediately strike you. Upon completing the song, she introduces "No Easy Way Down" by referencing Lyra Nyro, among others, who had then covered it. No doubt Laura Nyro heavily influenced King's break out from writer to performer. Charles Lackey on bass and guitarist Danny Kortchmar join King after a few opening solo performances and wherever Kootch went in those days, James Taylor wasn't far behind, or ahead. After finishing "Beautiful" King momentarily disappears and brings back with her James Taylor. The place erupts as by then Taylor was a superstar and had a hit with King's composition "You've Got a Friend," which they perform together along with "Will You Still Love Me Tomorrow" and "Up on the Roof" among others, accompanied by a small string section that, of course, sounds completely at home in Carnegie Hall. The recording by Hank Cicalo is superb. It captures just enough of the hall sound to bring you to the concert, yet the perspective is sufficiently close to produce the feeling that you've got the best seats in the house. If the reflective hall doesn't sound a bit hard, your system is too soft! This is pure live concert music making of the highest order, recorded to perfection. A gem of a time capsule and considering the price of a concert ticket today, this SACD is of course a bargain. The double LP will arrive soon. got an email from Lisa Hix, Associate Editor over at Collectors Weekly with a story of interest, be sure to stop by their site for more collectible news features! You have no idea how many pairs of John Lennon “Granny” glasses I researched when I was the Head of Entertainment Memorabilia at Christie’s in London. Most of them could be dismissed fairly quickly—the prescription was wrong or the provenance was not strong enough. But every so often, a pair came along that made me stop and think. 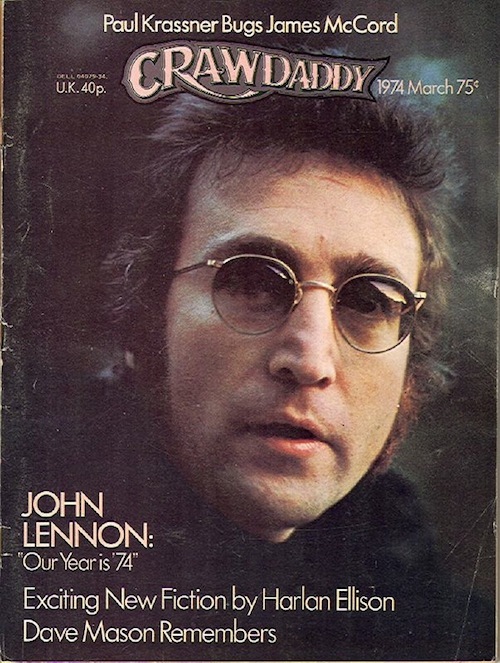 Round Granny glasses were so closely associated with Lennon’s look that they have become his trademark, the image perpetuated by Lennon—whenever he drew a caricature of himself, it was always the round glasses and long hair. Not surprising, then, that a pair of Lennon’s trademark glasses are highly sought after by Beatles and John Lennon collectors, and that any pair offered should be subject to great in-depth research. (Reuters) - An Andy Warhol self-portrait purchased in 1963 for $1,600 on an installment plan is poised to fetch $30 million or more when it hits the auction block at Christie's in May. 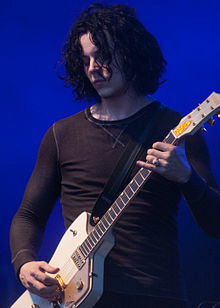 With the White Stripes officially retired, Jack White could spend his days having cocktails on his tropical lanai if he wanted to. But he is, famously, not that kind of guy. Instead, he’s running a musical empire in his adopted hometown of Nashville, keeping his hands in two well-established bands (Raconteurs and the Dead Weather), and taking his Rolling Record Store, which he debuted at this year’s SXSW, on the road—while also raising a family and proselytizing for vinyl nearly full-time. 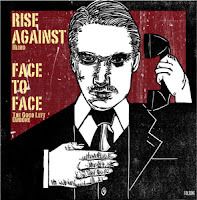 Nashville-based Folsom Records – a new vinyl label launched by Vagrant Records founder Rich Egan and Face To Face‘s Trever Keith – have announced that their first release will be a split 7” from Rise Against and Face to Face. The 7” sees them covering each other’s songs. Rise Against covers “Blind“ from Face To Face‘s classic self-titled album, and Face To Face covers “The Good Left Undone“ from Sufferer and the Witness. The seven inch is now available for preorder in limited edition colors. The new Rise Against album, Endgame, is in stores now while the new Face to Face album, Laugh Now, Laugh Later will hit stores May 17th on AntagonistRecords. Steve Earle will release a limited edition 7 " single in celebration of Record Store Day on Saturday, April 16th. The A-Side is Earle's version of the Hank Williams song that is the title of both Earle's new studio album and debut novel, I'll Never Get Out of This World Alive. The song was the last single released during Hank Williams' lifetime in December of 1952. The B-Side is Earle's celebrated original "This City" which has garnered both Emmy and Grammy Award nominations as it was written for HBO's Original Series Treme, in which Earle appears as a cast member. "This City" also closes Earle's T Bone Burnett-produced new album that will be released by New West Records on April 26th. The 7" single is a hand-numbered edition of 2,600 copies on translucent red vinyl with black swirl. The cover of "I'll Never Get Out Of This World Alive" will be available digitally as a bonus track, and is exclusive in physical form to this 7 inch release. Third Man Records has announced a whole plethora of White Stripes releases as the eighth instalment of their subscription service The Vault. You want the White Stripes. We get it. So for our upcoming Vault package we’re excited to present our fans with peeks at the White Stripes from three decidedly different eras of the band. First off, we’re pleased to offer Live in Mississippi a recording of the White Stripes’ final live concert from July 31st, 2007 in Southaven, Mississippi. Presented in crystalline audio quality and spread across 2 LP’s pressed on 180-gram vinyl, this recording is (arguably) the band at the top of their game. With the local geography looming large on their minds, the set list is decidedly heavy on the blues and features covers of songs by Robert Johnson, Son House and Leadbelly. The rest of the set includes songs from all six of the White Stripes’ studio albums and the show is offered in its entirety. Our 7” this quarter features some of the earliest recordings the White Stripes ever made. The a-side is a haunting, stark version of “Signed DC” originally done by the band Love on their self-titled debut record from 1966. The flipside is a breathtaking rendition of the Otis Redding classic “I’ve Been Loving You Too Long.” Recorded in Detroit in September of 1997 a mere two months after the Stripes’ live debut, this single provides a heretofore unheard era of the band. Although their debut single “Let’s Shake Hands” wouldn’t be released for another eight months, this recording shows how fully-formed the general idea, aesthetic and approach of the White Stripes was from the very start. Go to thirdmanrecords.com for the latest news! In 1956, Gene Vincent recorded the classic rock ’n’ roll song “Be-Bop-A-Lula,” which went on to be a U.S. & U.K. Top 20 hit. Percy Sledge's epic cut "When A Man Loves A Woman" was released in 1966. In 1970, Paul McCartney announced a "temporary break with The Beatles," citing "personal differences" and adding that he will no longer record with John Lennon. Paul disapproved of Yoko Ono and of Beatles financial advisor Allen Klein. 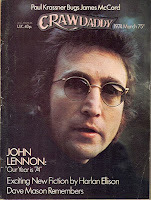 When a reporter called Lennon to comment upon McCartney's resignation, John said, "Paul hasn't left. I sacked him." A week after McCartney's announcement, he released his first solo album, spelling the end of the Beatles. Paul McCartney released the song "My Love" in 1973. In 1976, Phil Ochs committed suicide at the age of 35. ABBA top the U.S. singles chart in 1977 with “Dancing Queen,” the group’s seventh U.S. Top 40 hit (and first #1) and also a U.K. #1. In 1983, David Bowie topped the British singles chart (his fourth U.K. #1) with the title track from his latest album, Let’s Dance, featuring blues guitarist Stevie Ray Vaughan. It was also Bowie’s first single to reach #1 on both sides of the Atlantic. In 1988, Dave Prater of Sam and Dave was killed in a car accident near Sycamore, Georgia while driving to his mother's house. He was 50 years old. The original duo had split on New Year's Eve, 1981 and Prater continued to tour as The New Sam and Dave Revue with Sam Daniels.